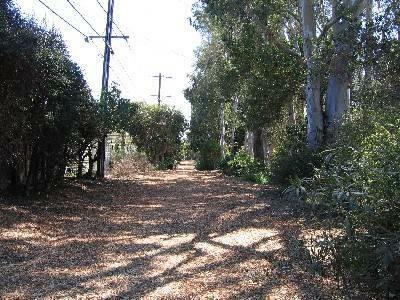 Other trails include those behind homes and the median strip on Palos Verdes Dr. North which is a horseback riding trail. Riders from the Palos Verdes Stable enjoy exercising the mounts along that area. Valmonte is the tree-lined area at the northern end of Palos Verdes Estates. Its homes are located on both sides of Palos Verdes Drive North between the border of Hollywood Riviera and the Palos Verdes Golf Course on the south. The area has unique home styling with a predominance of Eastern traditionals and Southern colonials. 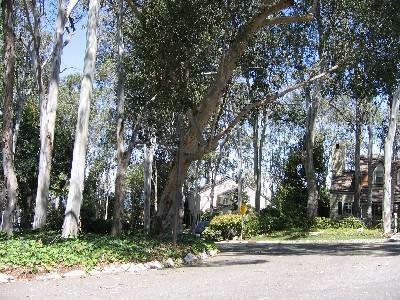 The homes in the area near the golf course and in the area on the northwest end of Valmonte known as "The Grove," for its dense eucalyptus tree growth are especially large and charming. Valmonte is prized for its convenient location, access to the beach area and to the Torrance financial and shopping district and to the 110 Freeway for travel Downtown or to Long Beach. Valmonte has many parkland trails. One is the trail between the city border of Hollywood Riviera and the border with Palos Verdes Estates. Residents find it a convenient path to take to the beach. Valmonte schools are served by the Palos Verdes Peninsula Unified School District. The elementary level, Grade 1 through Grade 5, attend Silver Spur School at this time. The elementary grade levels in the future may return to the Valmonte School site on Via La Selva. That school site is presently being used as District headquarters. Please verify the elementary school assignment with the school district's website. The middle school for the area is Palos Verdes Intermediate in Lunada Bay and high school youngsters have a choice of either Palos Verdes High School in Lunada Bay or Peninsula High School in Rancho Palos Verdes. Within the Valmonte area are a number of parkland areas that serve the neighborhood. These include the median strip on Palos Verdes Dr. North where joggers and horseback riders from the nearby stables can be seen. 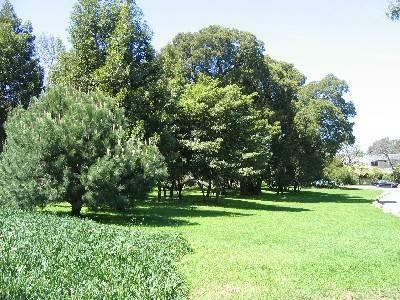 A number of pocket parks including the one on Via La Selva shown below provide extra green space for the neighborhood and areas for family fun. Behind many of the homes that border the city limits with Hollywood Riviera, a Torrance city neighborhood, is a wide strip of land that is used for jogging. It is also a convenient trail to use for access to Torrance beach on Paseo de la Playa. Many lovely homes in Valmonte were designed by noted architects in the 1920s through the 1940s. Some are included in books featuring those architects and are available for review at the main branch of the Palos Peninsula Library. One local landmark is the round stone house located on Via Valmonte. It was the Gate House when Palos Verdes properties were initially offered for sale to the public. Owned by the City, it is rented out by the city as a residence. The City of Palos Verdes Estates owns a horse stable located in Valmonte that is operated under a concession agreement. The stables at 4057 Via Opata offers riding lessons, trail rides, summer horse camp, and horsekeeping for privately owner horses. The active Palos Verdes community offers many opportunities for residents to participate in youth and adult recreational activities that include Little League, Pony-Colt, and Senior Baseball Leagues, Girls' Softball Leagues, AYSO Soccer, basketball and football associations, track and cross-country athletics programs, tennis, golf, swimming and Junior Lifeguard programs. Additionally, the Peninsula highlights a full range of scouting, 4-H clubs, drama clubs and theatrical training, computer and website instruction and internships, garden clubs, book clubs, and much more! For more information click on the link below. The City of Palos Verdes Estates owns the private Golf Club and the Tennis Club located on Via Campesina as well as the Beach & Athletic Club on Paseo del Mar in lower Malaga Cove. All are operated by others under concession agreements with the City. As with other areas of Palos Verdes Estates, the City police department that is headquartered in Malaga Cove serves Valmonte homeowners. The Los Angeles County Fire Department and Paramedic Services, with a location in Malaga Cove, serve Valmonte homeowners. Library services, as noted elsewhere, are provided by the Palos Verdes Library District with a branch in the historic building shown under "Malaga Cove" and the main branch located in Rolling Hills Estates on top of the Peninsula. City Hall, located in Malaga Cove, provides other services including the Building and Planning Departments and Council Chambers. The separate Palos Verdes Homes Association and Art Jury has adjacent offices on Palos Verdes Dr. West.